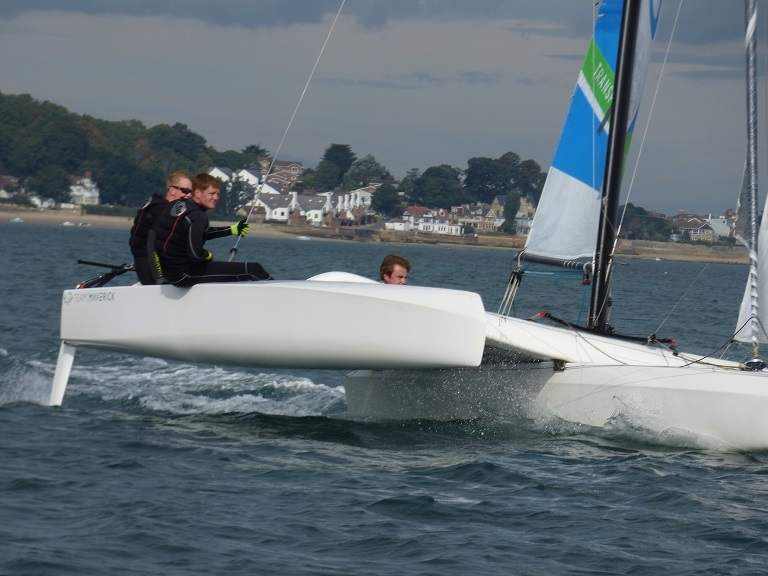 “Six MOCRA multihulls and four Diam 24ods enjoyed two challenging days racing off Bembridge over the weekend of 15th & 16th September. 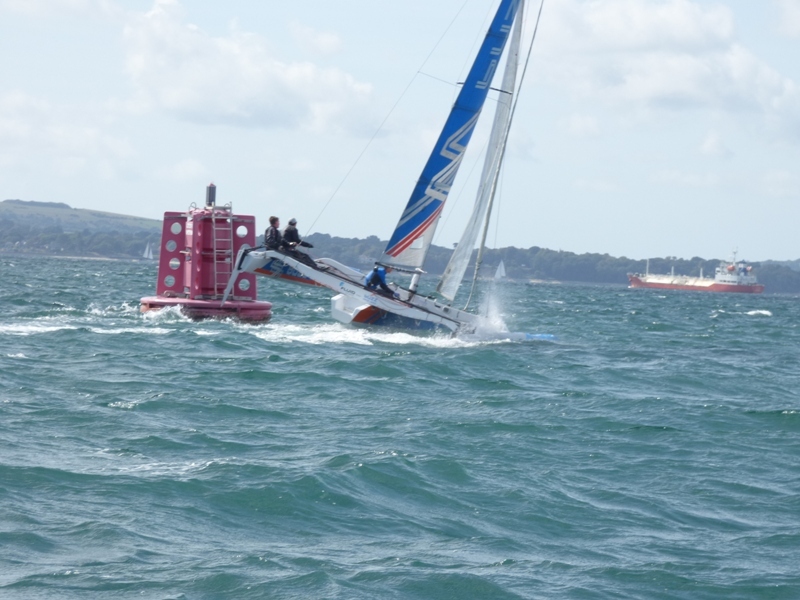 On Saturday the main challenge was the variable wind conditions, both in strength (F2 occasionally F4) and direction (W/SW/S); on Sunday the direction was reasonably steady but it was not until the final race that it strengthened to mid-F4. 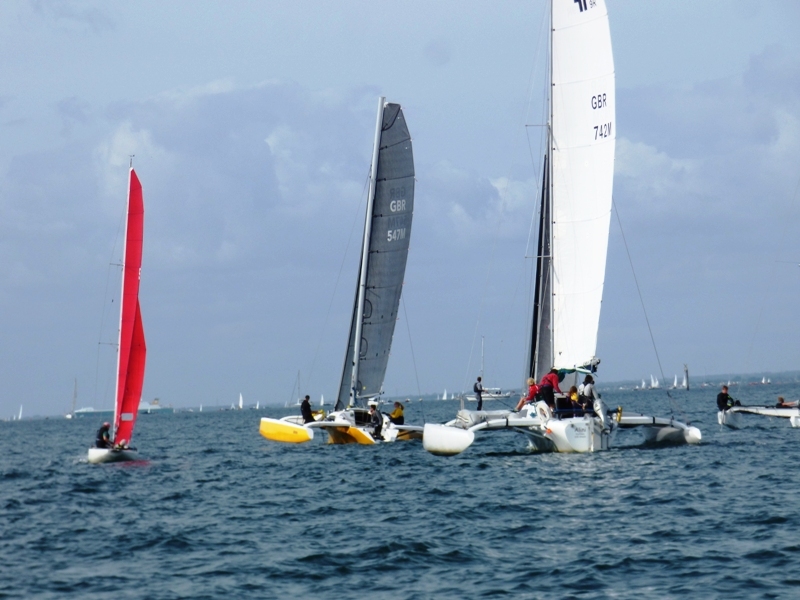 For the first two races on Saturday and the two races on Sunday, the format was that the six MOCRA boats started five minutes ahead of the Diam 24ods. The first race got away to a slightly hesitant start after a 20 minute postponement waiting for the breeze to settle a bit. 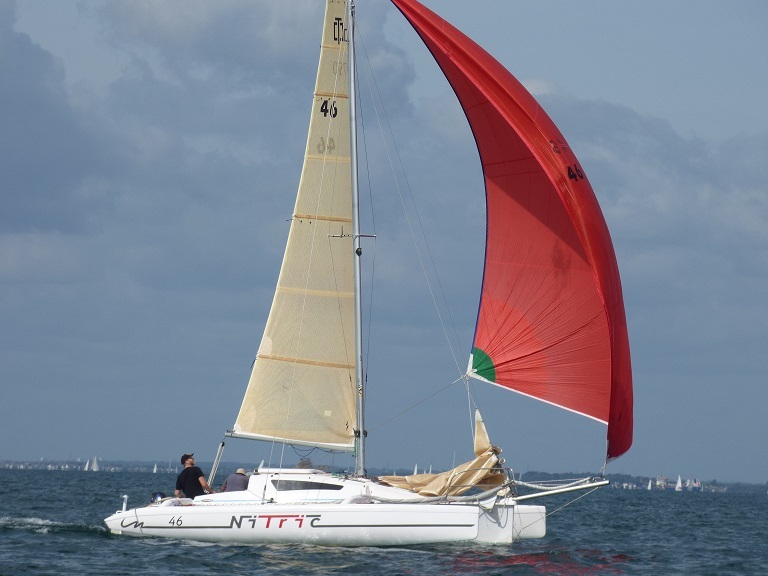 Arlette (a Farrier 25), helmed by Graham Goff, was first round the windward mark (Footprint), with Nigel Talbot in Nitric (Corsair Dash 750) and Mark Upton-Brown with his family in Alini (Farrier 9a) not far behind. Although by no means a procession, there was no change to the order as they rounded the leeward mark (Moreton) and headed back to Fitzwilliam to go through the line for a second round. Although finishing nearly four minutes ahead, it was not quite enough (20 seconds) to beat Nitric on corrected time. 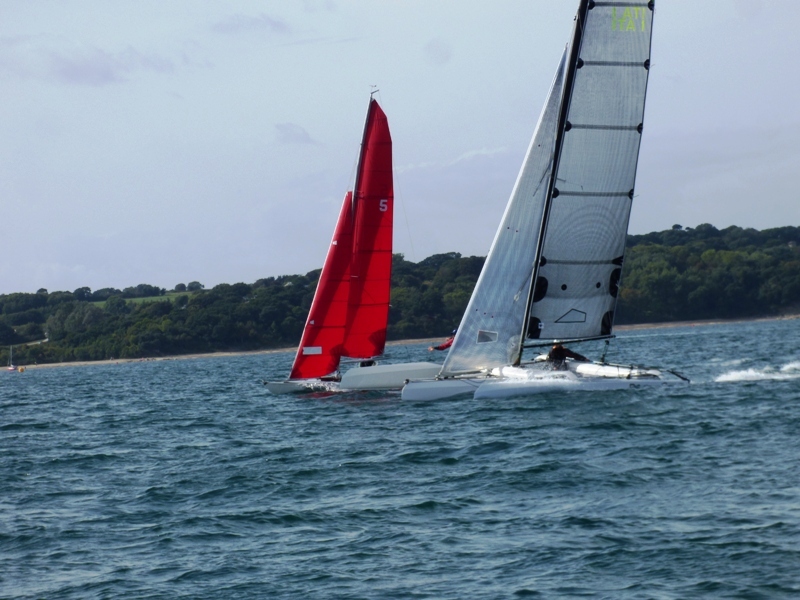 In the Diams, 3 Wise Monkeys helmed by Jon Hutchins, after getting stuck in irons at the start headed into the Bembridge shore and picked up their own breeze which got them to the windward mark well ahead of the other three boats. 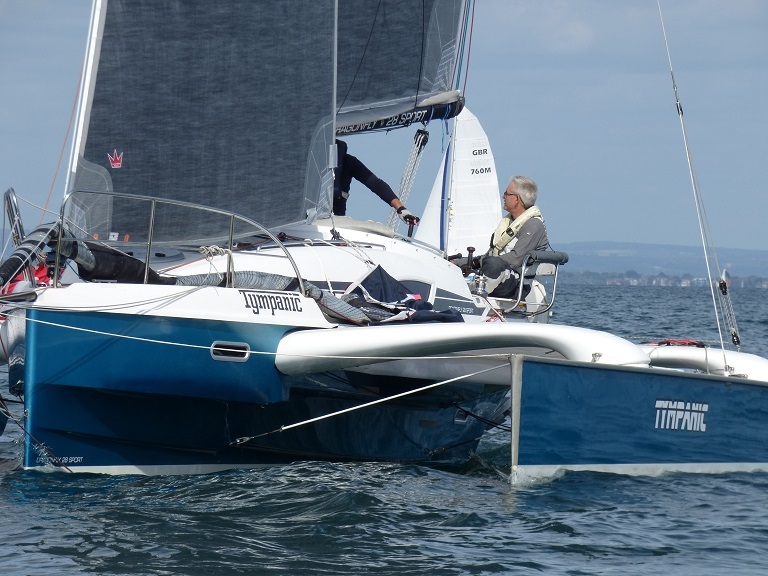 They held their lead until the second run to Moreton when the young crew of Maverick, helmed by Edward Connellan, suddenly shot ahead and crossed the line nearly a minute in front. The start of the second race was considerably more competitive for both classes. 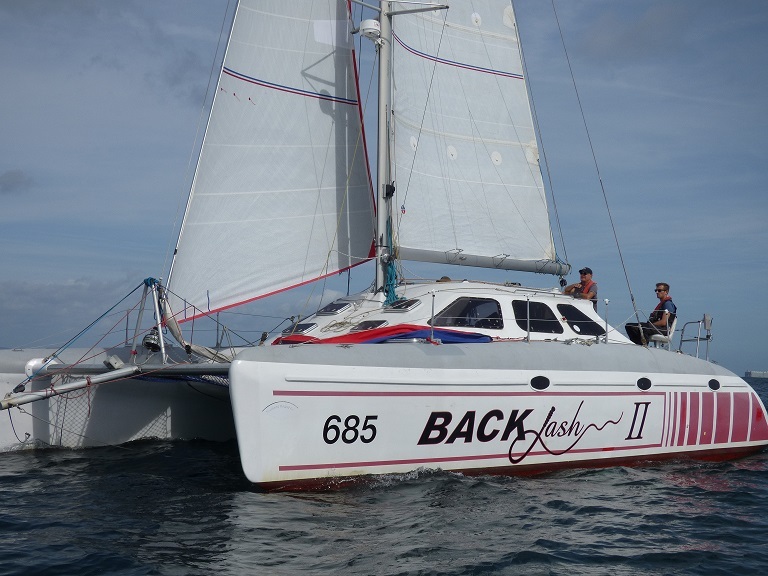 Although the first leg to Under Tyne was not very long, Arlette was still able to get ahead by quite a way; on the long run to Nab East Nitric found her legs and had soon overtaken Alini and Tympanic (Dragonfly 28 Sport) helmed by Lindsey Knight. The beat back to Under Tyne saw the fleet split as they tried to work out the windshifts and the tide. Nitric continued to whittle down Arlette’s lead and crossed the line, just over thirty seconds in front; enough to win on corrected time by over two minutes. 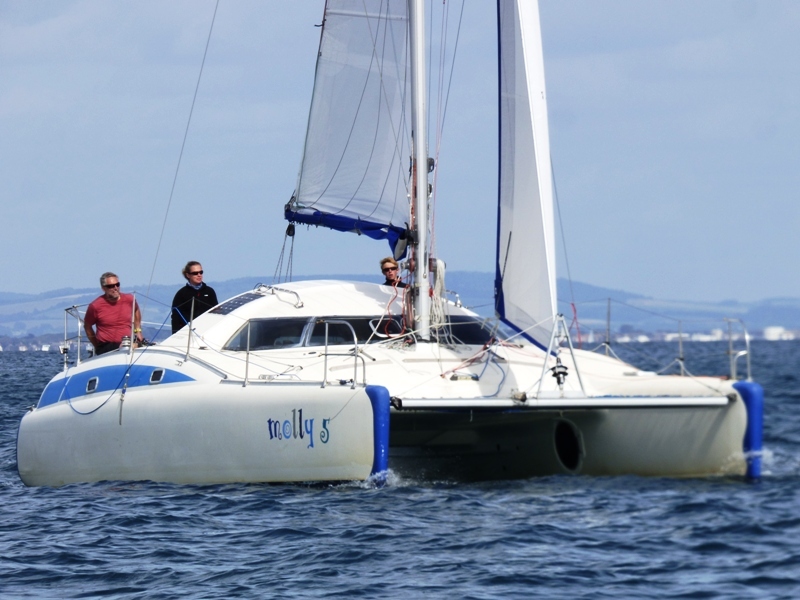 Molly 5, helmed by Stephen Homewood with his family crewing, had an excellent race after a cracking good port tack flyer at the start and came in second on corrected time. All four Diams were well off the pace at the start, but this soon changed with Gaetana 3, helmed by Riccardo Pavoncelli leading the way round the windward mark and holding onto to it on the long run to Nab East and beat back to Under Tyne; mind you it was a very, very close run thing with Maverick never far away and Phil Cotton in Buzz Race Team always a threat as the breeze varied in both direction and strength. 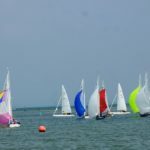 After a lunch break, the multihulls were joined by two Redwings and four One-Designs for a combined non-scoring Barts Bash race. 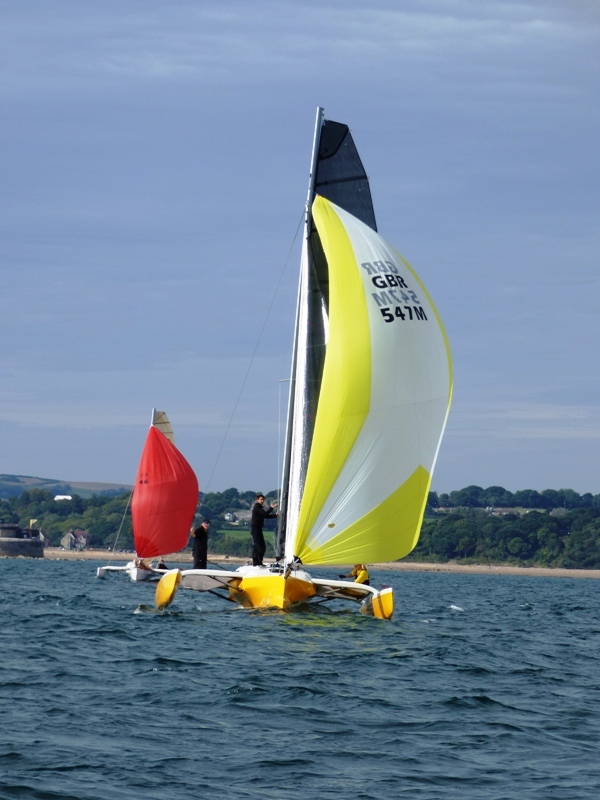 The previous occasion a combined race had been run with the keelboats and multihulls was the inaugural Barts Bash race in 2014 when the keelboat turnout was considerably larger, however at least we tried! For safety reasons (and to make it more fun) it was essentially a ‘reaching ‘ course with the start line divided with the keelboats on the left of the Committee Boat and the multi-hulls on the right. The windward mark was Derrick (K) which was fine for the keelboat helms who knew where it was, but unfortunately the multihulls had problems identifying the right mark so took a very circular route to get there! It also did not help that some of them failed to hear or see the course change for the second round! 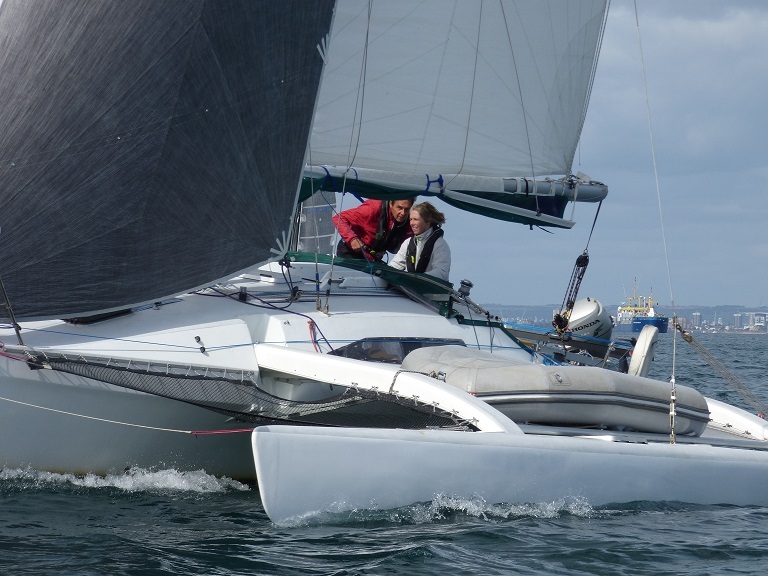 Maverick (Diam 24od) was the first to spot where the keelboats had gone and found themselves a long way out in front; Jonathan Nainby-Luxmoore in Snowgoose was the first Redwing to finish and Helen Mathieson in No 1 was the first One-Design. ‘Best laid plans …’ comes to mind! The same line was used for the final race of the day which meant another reaching start. As they were ready first, the Diams were the first to start. 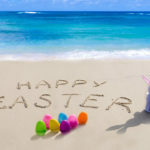 It did not take them long to get to Warner and then they flew eastwards to St Helens. The beat back, initially to Under Tyne, then a reach to Janson before the final beat to the finish close to Garland might have been less exciting but nevertheless proved quite challenging. 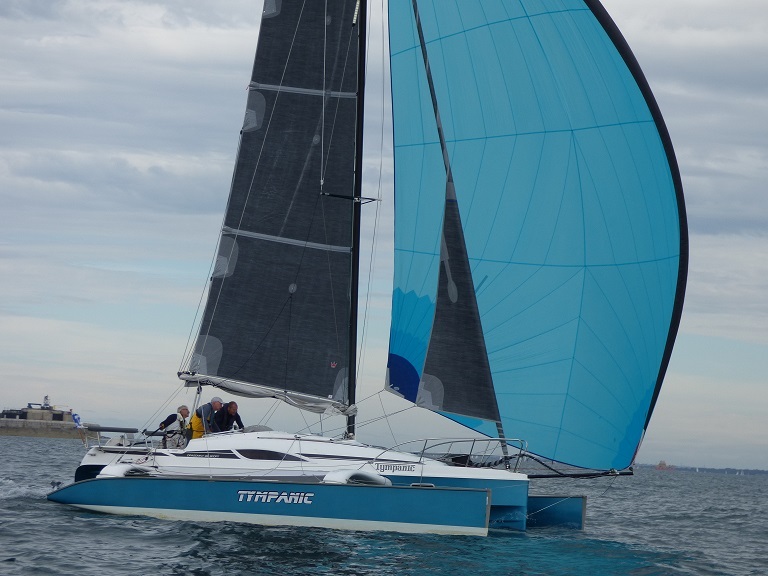 The slightly increased wind strength was lapped up by the young crew in Maverick who screamed into the finish well over a minute ahead of Gaetana 3 with Buzz Race Team having to grit their teeth and make do with third. The two Redwings and four One-Designs were next off and remained closer inshore. Jonathan Nainby-Luxmoore in Snowgoose lead the way and although a couple of mistakes would have allowed Robin Ebsworth in Quintessence to get through, it was not to be and Snowgoose finished two minutes ahead. There was little to separate the four One-Designs; however on the final couple of legs, Jos Coad in No 8 moved into the thirty second lead ahead of James Beart in No 5, Sarah Marshall in No 7 and Rob Mathieson in No 1. The six MOCRA boats meanwhile were following the same course as the Diams. The conditions were perfect for Arlette who finished three and a half minutes in front of Alini with Nitric in third another three minutes later. This was enough for Geoff to win on corrected time by ten seconds; Mark in Alini was second and Nigel in Nitric was third. It was touch and go whether there was going to be enough water for the boats over-nighting in the harbour to get out. In the event the Homewood family in Molly 5 decided to head home early in case the wind got up too much, and the West’s in Backlash found themselves trapped on the inside of the Visitors Pontoon so they were unable to join in. 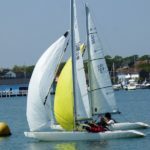 The plan for the first race was a ‘short and sharp’ course, however with the breeze sticking at around 8 knots, it was not as frenetic as it has been in the past. Both fleets had excellent starts and it was not long before they split tacks as they headed for Garland. 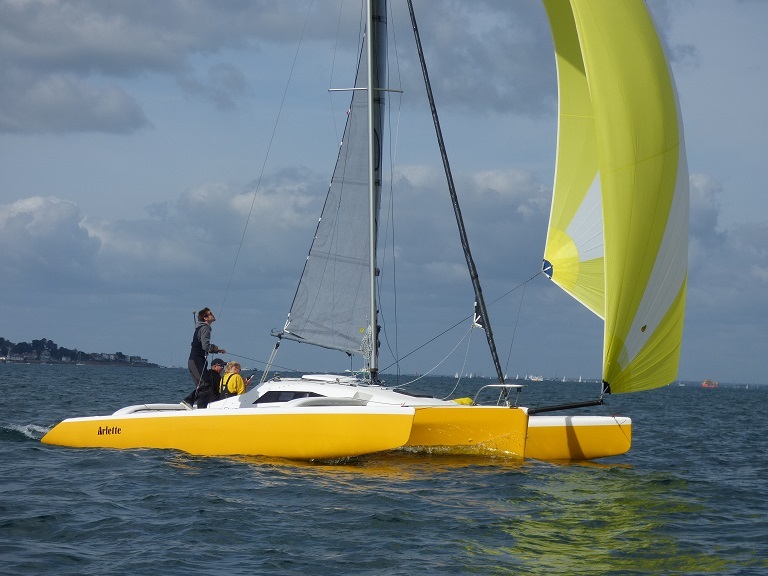 Arlette was the first of the MOCRA boats to round with Nitric, Alini and Tympanic reasonably close behind. Tympanic then had a problem with her asymmetric so retired. On the second round Arlette increased her lead albeit she was unable to get far enough ahead of Nitric to win on corrected time; had there been another round (as originally intended), the result would probably have been different. Buzz Race Team, having been inch perfect at the start, were well ahead of 3 Wise Monkeys at Garland with Maverick in third. At one stage it looked as if 3 Wise Monkeys was going to take the lead as they weaved their way down on the run to Ruthven, but it was not to be and Buzz Race Team finished about a minute and a half in front. 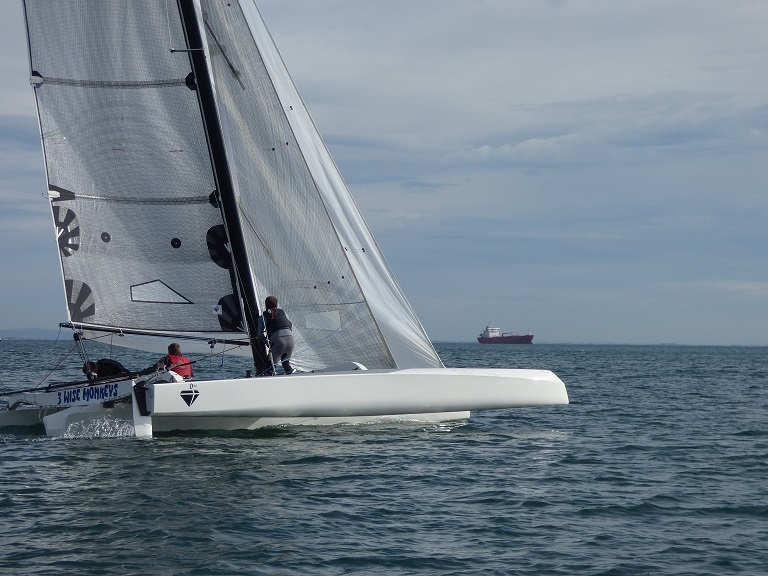 The breeze began to pick up slightly after the start of the final race which certainly made for some exciting racing for the four Diams. After very good starts both fleets headed towards the Bembridge shore where an inflatable windward mark had been laid. Arlette was again the first of the MOCRA fleet to round with Nitric, Alini and Tympanic (who made up a lot of ground having got stuck in irons at the start) all very close. As expected she was able to extend her lead over Nitric on the two runs to St Helens and back and by the finish at Under Tyne was four and a half minutes ahead; sadly (for her) still not quite enough to take overall first on corrected time. In the meantime, Alini and Tympanic were never far apart but well done to the Upton-Brown family in Alini who crossed the finish line just over a minute ahead, which was just enough to allow them to hold onto third place on corrected time. 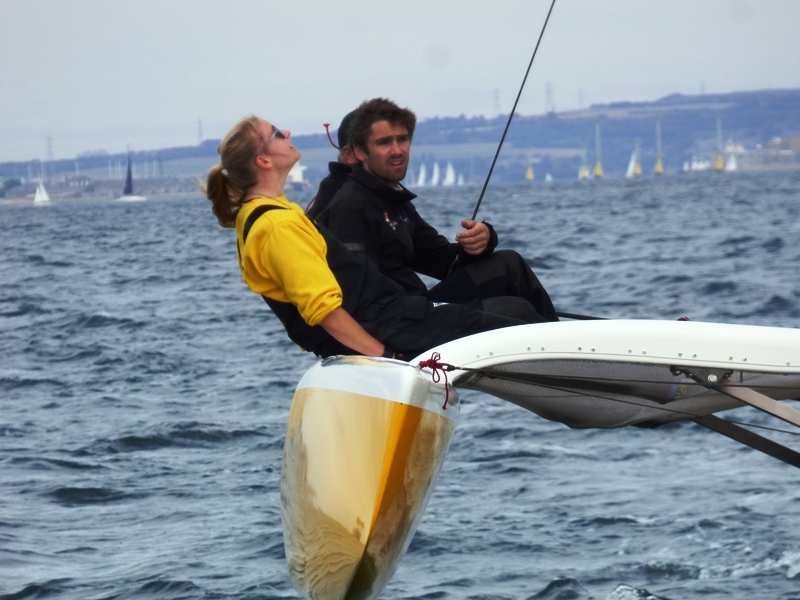 The four Diams meanwhile flew round the course as the breeze increased to 15 knots. 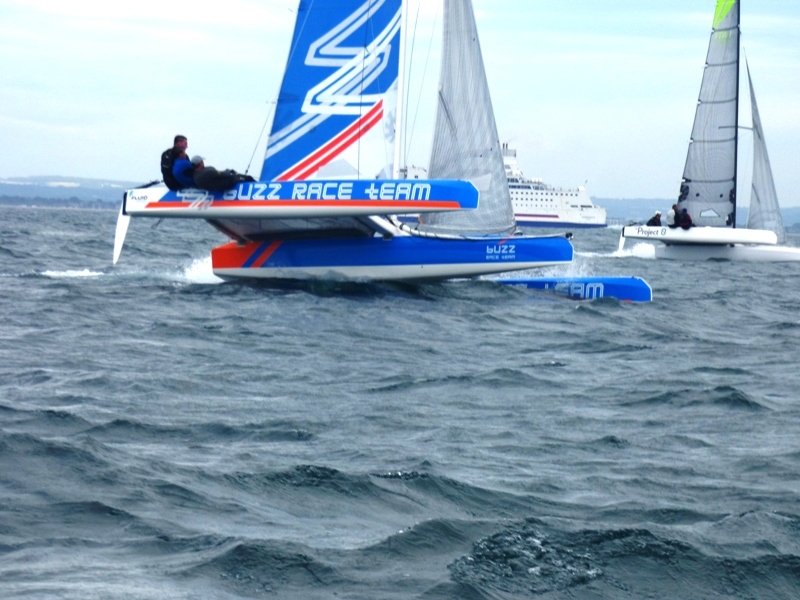 At the front, there was little to separate Buzz Race Team and Gaetana 3 and it could have been either boat crossing the finish line first; in fact it was Buzz Race Team who found the better layline on the final tack and screamed across the line on one hull, twenty seconds ahead. 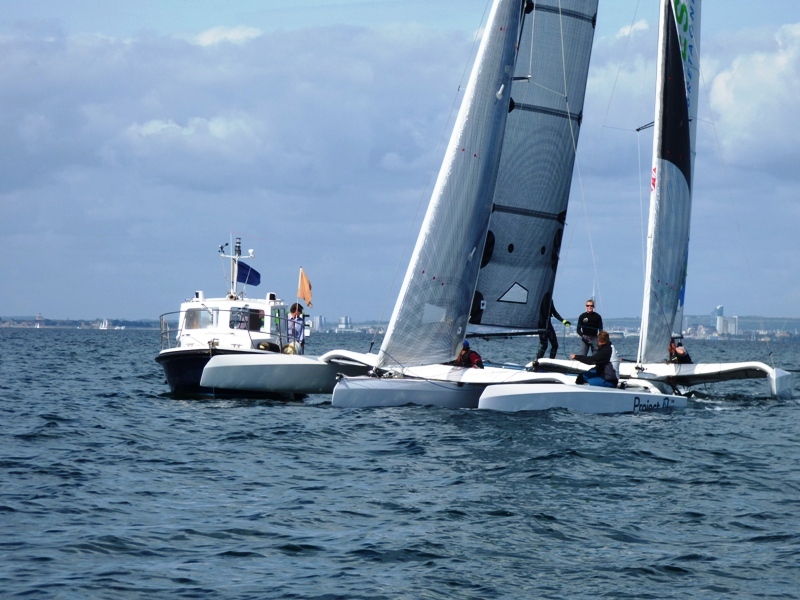 Although never in contention for the first two places, Maverick & 3 Wise Monkeys had a similar close race with the latter just able to maintain better boat speed on the final couple of tacks to the finish line. A big thank you to everyone who entered and to those involved in making it all work. It was good to hear a number of “thank you and look forward to seeing you again next year” remarks as they headed back to their home ports.